Additionally, winners who also swipe their BonusLink card at another BonusLink Partner within the same month, will receive Extra 50,000 BonusLink Points! Swipe a valid BonusLink card at the pump, or present it to our cashier when making payment. Pump a minimum of RM30 of any Shell fuel. 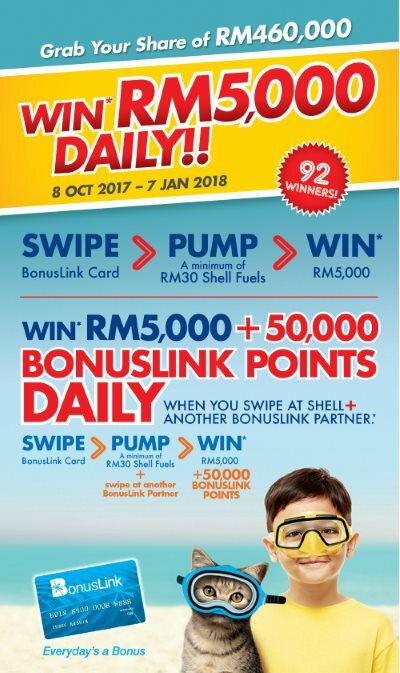 Visit BonusLink's Shell Contest page for more details. Check out also the list of participating Shell stations here.